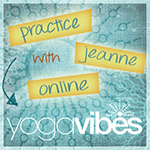 Come join Jeanne to unwind from the week and establish yourself in a state of kind calmness for the weekend. We will move into a flowing sequence of poses that ends us with Pranayama and Meditation. All levels welcome, you will be encouraged to move at your own pace. Terminate Tight, Tense Shoulders – This Master Class will address the tension and limitations that dwell in the shoulder region. When we have limitations in this area, it leads to neck pain, upper back problems and even breathing problems. We will open and strengthen this very important joint, learning about the body parts so that you can care for yourself after the course. Using this new range of movement, we will explore the empowering Inversion Poses of yoga. We will move gradually, safely and adapt poses to the needs of attending students. Our limitations begin in the mind and ripple into the body. By moving upside down in poses, it begins to shatter the limitations and we become lighter, seeing new possibilities and joy. This workshop is safe for those who have had some yoga practice and are able to hold Downward Facing Dog and Plank Pose for 30 seconds. Ladies on their cycle are welcome to join us, they will receive specific modifications for each pose. As we advance in our yoga practice, the myth is to advance by pursuing more challenging postures and torque the body into interesting shapes. While this is valid and fun, true advancement occurs by attending to the nuances in the body, breath and mind. Pranayama is a natural evolution following a dedicated asana practice. After our Inversion exploration, we will move into a balancing Pranayama practice, developing steady respiration which naturally calms the mind. Jeanne will then guide students into the art of Mantra, and its technique to help the mind concentrate so that other concerns and worry begin to loose their threat. You will be guided into a calming Meditation using the Inversion theme, leaving you lifted and ready to face your upcoming week. Join Jeanne in a three-hour Master Class focused on opening the hips from the perspective of the Swadhisthana Chakra, the Second Chakra. This Chakra is located in the pelvis and especially rules the inner and outer thighs, which tend to be tight and/or weak for most individuals. Students will move in a flow practice to warm up the body and strengthen these areas. We will then allow the body to become still, dropping into longer holds to release tightness from the deep layers of the muscles. The source of many energy blocks in the body is found deep in the Subtle and Emotional Bodies. 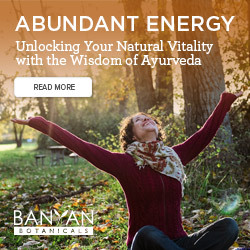 Therefore we will apply Chakra Work through imagery, mantra, and breathing techniques to bring healing and light to the mind and soul. You will leave feeling opened and very, very happy.